Conceal recessed hardware by using a plug cutting bit to make the fastener hole in a workpiece. 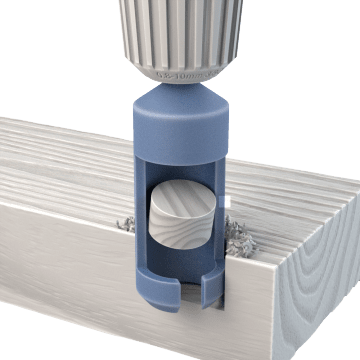 These hollow drill bits have a circular cutting edge that leaves a smooth hole in a workpiece and creates a solid plug of material for removal. Plug cutting drill bits should be used in a drill press.